Facebook is the world's most popular social media platform, and every day millions of customers visit the official pages of their favorite businesses. As an eCommerce business owner, you'll want to take every opportunity to interact with your customers and reach them wherever they are. 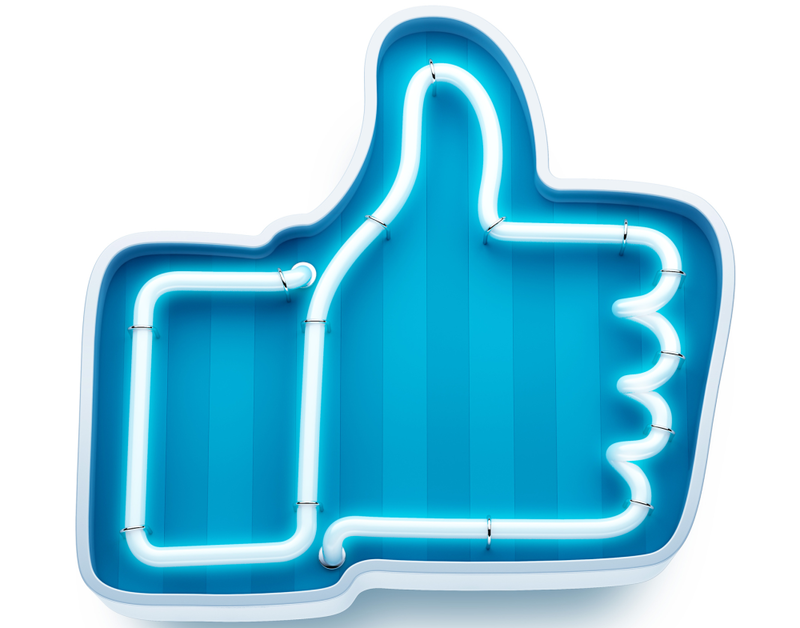 Your Facebook Page is a valuable tool in this regard. Facebook has proven to be a great way for customers to interact directly with owners, employees, and management by posting comments and reviews. Some customers also like to shop directly from Facebook using the Facebook Shop section. Adding the Shop section to your Facebook business Page is easy and helps you sell directly to your Facebook followers. What is the Facebook Shop section? You can enable the Facebook Shop section to appear on your Facebook business Page, where it will act as a catalog of your products ready to be sold directly on Facebook. Customers can make purchases without needing to visit your website. Plus, you can reach more customers on Facebook who might otherwise be unaware of your online store. You can make it easy for Facebook fans to find the right products by organizing the items on your Facebook Shop section into collections. You'll gain valuable insight into popular products through the data Facebook provides you, including which products get the most views. 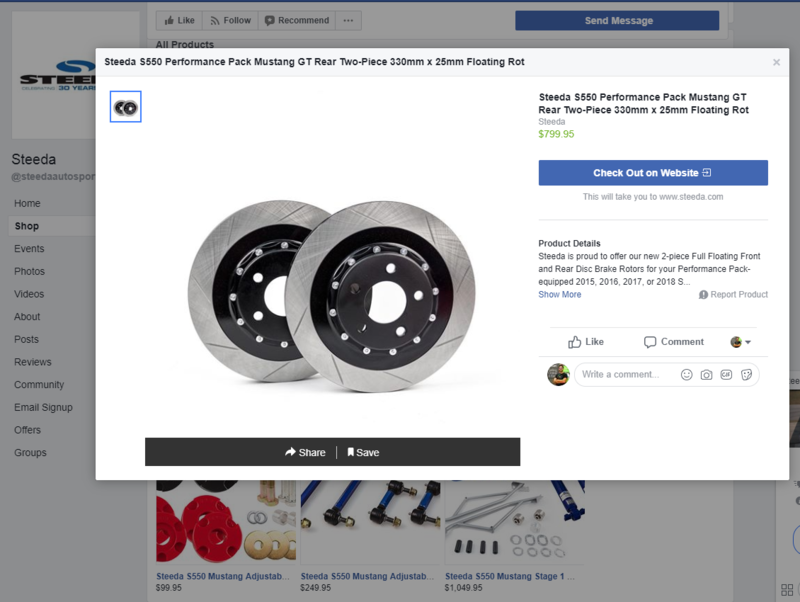 Facebook is also rolling out a feature in which products from Facebook Shop sections are added to the Facebook Marketplace as a means of helping viewers discover the products they're looking for. This means you'll be able to reach even more people and earn more customers. If your business's Facebook Page doesn't already have a Ratings & Reviews section, this will be added automatically when you enable the Shop section. Customers will be able to leave feedback that can help you identify areas for improvement and handle issues. Feedback also provides priceless social proof that will help others decide to purchase from your business. Add products with images and information. Add unlimited products, complete with photos, pricing information, and more. Organize and customize your inventory. Arrange items into collections as you see fit, and choose which products appear in your Facebook Shop. Interact with customers right on your Page. Customers love browsing your Facebook Shop because they can reach you quickly through Facebook messages. Reach a wider audience for your products. Products from your Facebook Shop have a chance to appear in Facebook's Marketplace, where more customers will see them. Obtain valuable information. See which products sell and earn you the most, which get the most clicks, which you get messaged about most often, and more. Identify top sellers and address problems! A direct integration with your online store, like the one provided by 3dcart, gives you the ability to synchronize your online store's inventory with your Facebook Shop section. 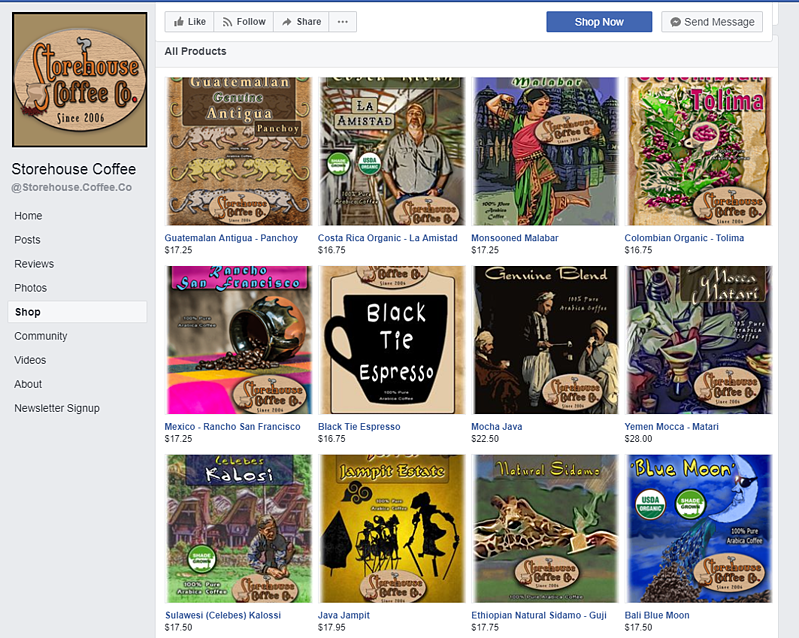 Your products will appear for sale on Facebook, complete with images. Customers and inventory will remain synchronized between your Facebook Shop and your online store. Customers who purchase products through your Facebook Shop section will perform their checkout through your online store, meaning you'll retain all the advantages of your customer-optimized checkout experience. This quick visit to your online store also provides you with a valuable opportunity to entice the customer to visit other parts of your website. For example, you could implement a non-intrusive offer box to appear onscreen. Since customers coming from Facebook will also receive your post-checkout emails as normal, you can also send coupon codes to encourage them to come back for a second purchase. In either case, the customer may also decide on their own to spend some time looking around on your website — yet another reason to have a strong, attractive store design! One of the best advantages of a Facebook Shop is that it's right there on Facebook — and there's no better place for marketing it. You'll get great results with a consistent, solid strategy that uses the full array of tools Facebook puts at your disposal. Create regular Facebook posts that link to your products, sales, and other promotions. Customers are likely to share these, especially if you create promotions like Group Deals that rely on a minimum number of purchases. Followers will also see these posts in their News feed. Run promoted posts with featured products. Boosted posts are one of the best ways to reach more people on Facebook, as they take a priority position in News feeds. Create a Facebook Ad campaign. Millions of people use Facebook on a daily basis, making it one of the best means of reaching them through advertising. Facebook Ads appear in the user's sidebar independent of their News feed organization, plus, they can be highly targeted to people's interests as defined on their profiles. Set up Facebook Dynamic Ads. Dynamic Ads offer a whole other level of advanced targeting, displaying to customers when certain criteria are met. For example, display ads specifically to people who have visited your online store, viewed a particular product, or performed a certain action. There's much more you can do with Facebook’s Shop section integration, like allowing visitors to log in to your store with their Facebook credentials, or using Facebook Dynamic Ads to target people most likely to be interested in what your store has to offer. To find out more, read up on How to Sell on Facebook and check out our video tutorial below.